The Biological and Nanoscale Systems Group focuses on the characterization, integration, and understanding of natural and synthetic systems across multiple spatial and temporal scales. A continuing emphasis is to define how natural systems are organized at the nanoscale and understand how this organization contributes to complex behavior and emergent biological function. Research efforts focus on technology development and application with specific interests in biological and chemical imaging, development of engineered habitats and microfluidic platforms, and the advancement of synthetic and molecular biology tools to understand molecular and cellular systems. Imaging projects evaluate organization in multispecies microbial systems within complex communities and within host and host mimetic environments. 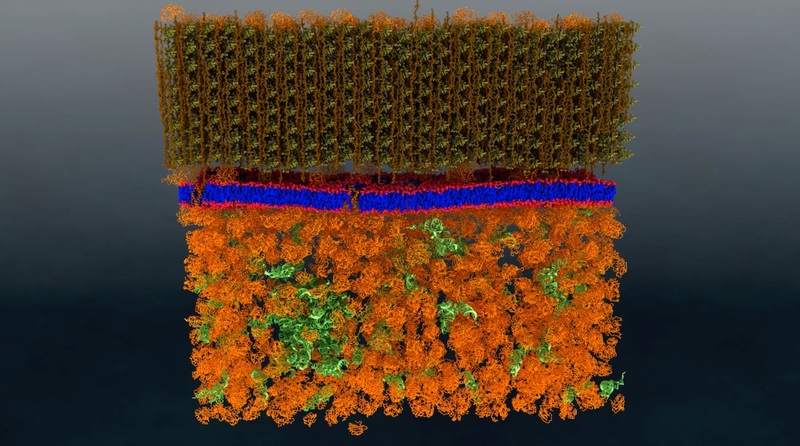 Nanotechnology projects center on analyzing and mimicking the physical and chemical characteristics of biological cells, copying their natural microenvironment, and developing biocompatible patterning techniques. Synthetic biology efforts advance the use of cell-free systems for the preparation of proteins and metabolites and for the definition of metabolic networks. Primarily, these technology advancement efforts focus on understanding the organization and behavior of plant and microbial systems, with an emphasis on defining the chemical environment and molecular mechanisms that promote productive interfaces between plants and bacteria. The group maintains comprehensive resources in molecular and synthetic biology and in molecular and cellular imaging. The team leverages the advanced fabrication and characterization capabilities of ORNL’s Center for Nanophase Materials Sciences.